Swaidan Trading, the automotive distribution of Al Naboodah introduced it. After being the top-selling SUV brand in China for 13 successive years, Haval has introduced their latest SUV model, the Haval H6, in the UAE. Swaidan Trading, the automotive distribution of Al Naboodah Group Enterprises (ANGE) introduced it last Thursday at the Sheikh Zayed road branch. HE Nie Jian, the UAE’s Chinese Ambassador and Swaidan Al Naboodah, ANGE’s Managing Director carried out the official unveiling. Created by Great Wall Motors, the Haval H6 comes with a number of advanced luxury features that come as standard. The turbocharged engine, Bosch rain sensing wipers and 360° parking camera, modern safety facilities are some of the things that would enable it to compete against the industry’s top SUV brands. The safety facilities consist of the high-strength body structure, outstanding braking system, FRH blind spot visual system, reverse camera with dynamic reversing auxiliary line, and the brake override system. Other features include lane change assist, lane departure warning, cross traffic alert, and additional intelligent electronic driving assistance systems. The luxury features encompass power steering, power windows, central locking, keyless entry, push-start engine, Bluetooth, rear parking sensors and alloy wheels. While other safety features also include dual airbags, ABS, electronic brake distribution, brake assist, and traction control. 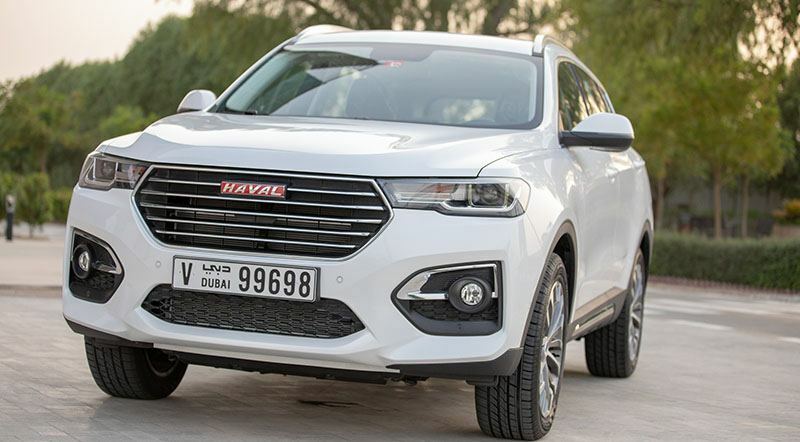 Currently, Haval is offering only two vehicles in the UAE: the H2 and the H9. We did not get any pricing news on the H6 yet, so stay tuned for the updates.